So, what do I have to share today? Well, it’s a delicious and easy salad based on Peanut Chaat, an Indian peanut salad. I’ve taken quite a few liberties with the traditional recipe. For one, the salad is usually made with boiled peanuts, but I subbed in unsalted dry-roasted peanuts. Also, I added avocado, simply because it was in the fridge and needed to be used. Finally, I used parsley and mint, rather than cilantro and mint. I love cilantro in this recipe, but I didn’t have any, so parsley it was! Simple, delicious, flavorful – my kind of salad! Mix all ingredients together – devour! 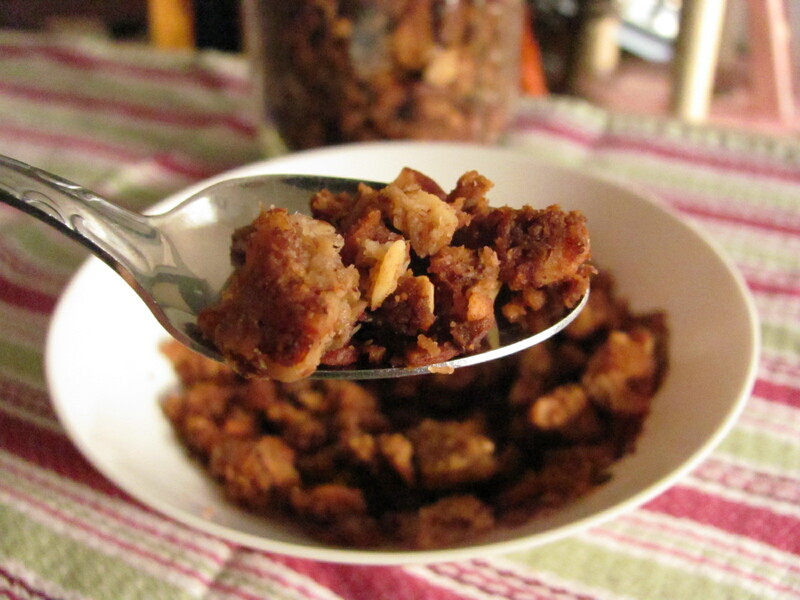 So, granola – I love granola, but haven’t eaten it in so, so long! Too many carbs, too much sugar….But, I needed some new breakfast options. You see, I’m eating plant-based. Why, you ask? Well, I’m trying to avoid a statin prescription, trying to lose more weight, and trying to reverse my type-II diabetes. The hardest part? Giving up the cream in my coffee, but I’ve done it. No dairy for the past 15 days – I began tapering myself off in December. The transition has been smooth, for the most part, with breakfast being my Achilles heel. No eggs, no cheese, and remember, no gluten. Oh, and I watch my carb intake. Yes, I’m attempting to do this while keeping my carbs low. 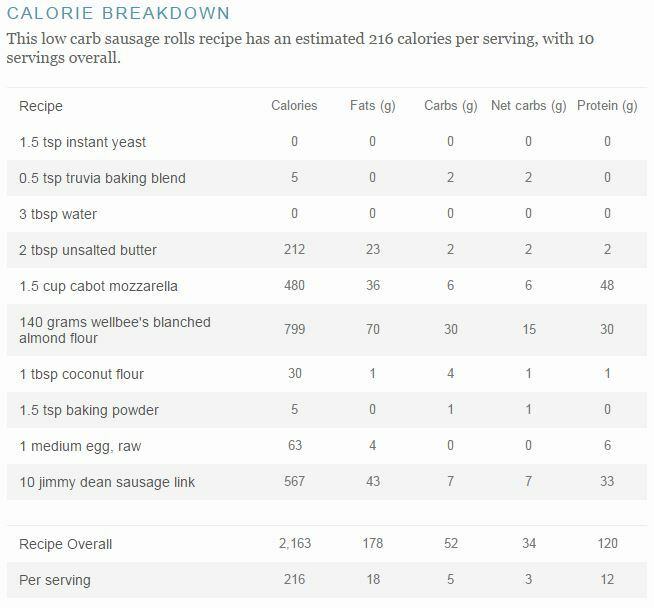 Not ketogenically low, but lower than the average American eater. After searching for some alternatives, I saw many grain-free granola recipes. I thought, why not? Here’s the great thing about the recipe, if you’re not eating low-carb, just substitute real honey for my sugar-free honey, oatmeal for the TVP, and toss in some dried fruit. As much as I wanted to add dried fruit, I didn’t have any no-sugar added blueberries or cranberries. The husband likes the granola, but would prefer it in bar form. I love it! I’ve been a happy plant-eater every morning, eating a bowl of granola and unsweetened almond milk for breakfast. Combine the chia seeds and water in a small bowl; stir and set aside for 10-15 minutes. Combine melted coconut oil with the honey or sugar-free syrup, cinnamon, vanilla extract, maple extract, chia gel, and salt – stir well. Add remaining ingredients, one at a time, mixing well after each addition. Once the ingredients are all well-moistened, spread onto prepared pan. Place in oven or 30 minutes, remove, toss with a spatula, and return to oven, tossing every 15 minutes until desired color is achieved. This took about an hour for me. Allow to cool before storing in a sealed container. Keeps for a week in the pantry, longer if kept in the refrigerator. 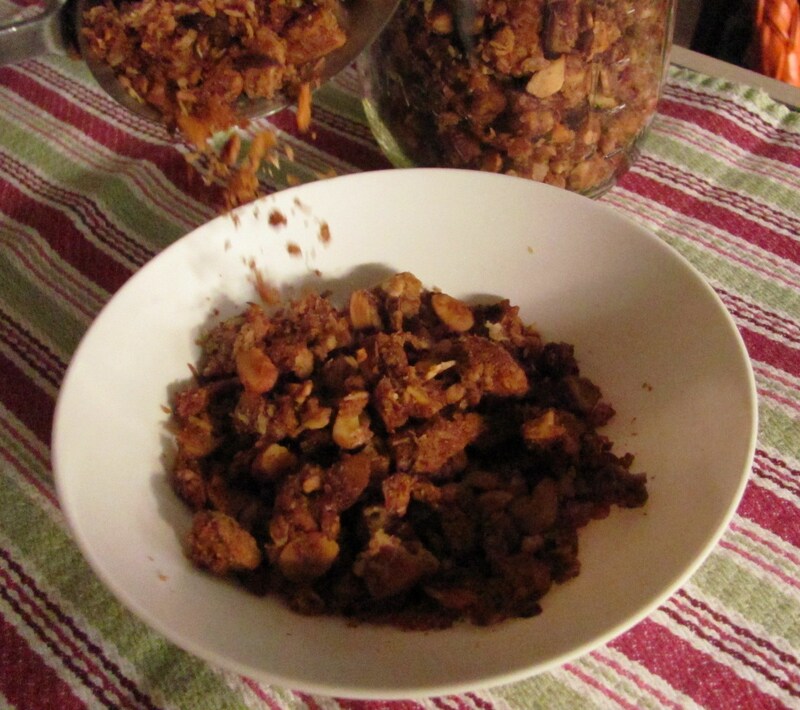 ***If you’re adding dried fruit, do so after you remove the granola from the oven. ©Louanne Bertrand and Louanne’s Kitchen, 2010-2016. Unauthorized use and/or duplication of this material without express and written permission from this blog’s author and/or owner is strictly prohibited. Excerpts and links may be used, provided that full and clear credit is given to Louanne Bertrand and Louanne’s Kitchen with appropriate and specific direction to the original content. To me, most things taste good with a bit of caramelization, and they taste even better with a lot of caramelization – hash browns, burgers, steak, chicken, and in this instance, vegetables, specifically, cauliflower. When you take a bite, it’s crunchy, it’s tender, it’s sweet, and it’s savory – a perfect mix of flavors and textures. Roasting vegetables is one of the easiest and tastiest methods for making a delicious side dish. I roast broccoli, cabbage, green beans, and okra. 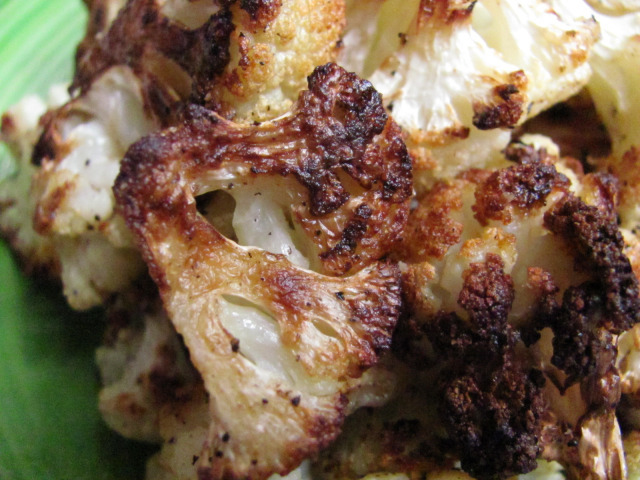 For the cauliflower, I’ve started to add lemon juice to the mix; I love the extra punch of flavor. Prepare a sheet pan with a piece of parchment. Trim core from cauliflower and then cut cauliflower into florets. 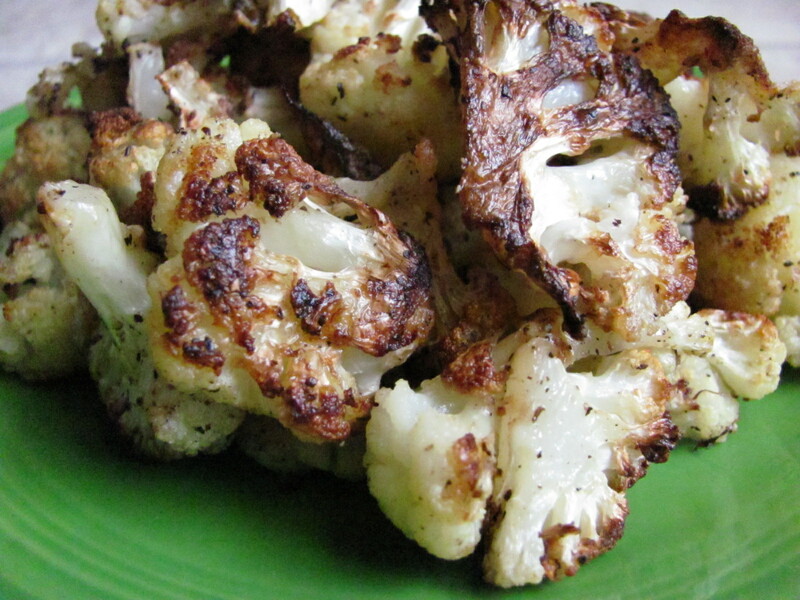 In a bowl, combine cauliflower, olive oil, lemon juice, garlic powder, salt and pepper. Stir or shake well, all pieces should be well-coated with the oil. Roast for 35-40 minutes, flipping pieces over as they brown. 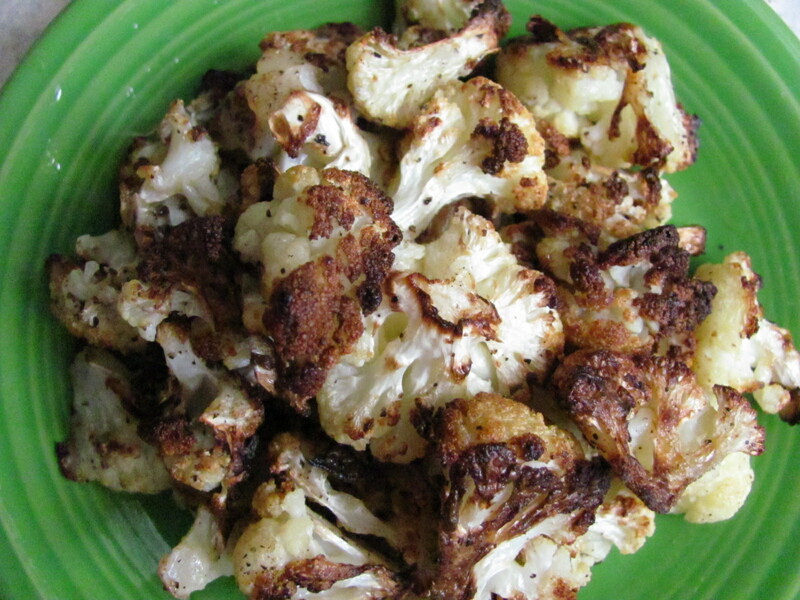 Remove from oven when cauliflower is well-browned and tender. ©Louanne Bertrand and Louanne’s Kitchen, 2010-2015. Unauthorized use and/or duplication of this material without express and written permission from this blog’s author and/or owner is strictly prohibited. Excerpts and links may be used, provided that full and clear credit is given to Louanne Bertrand and Louanne’s Kitchen with appropriate and specific direction to the original content. Hello! I signed on for the 17-day Low-carb Mini Challenge, and I’m doing pretty good if I do say so myself ☺! 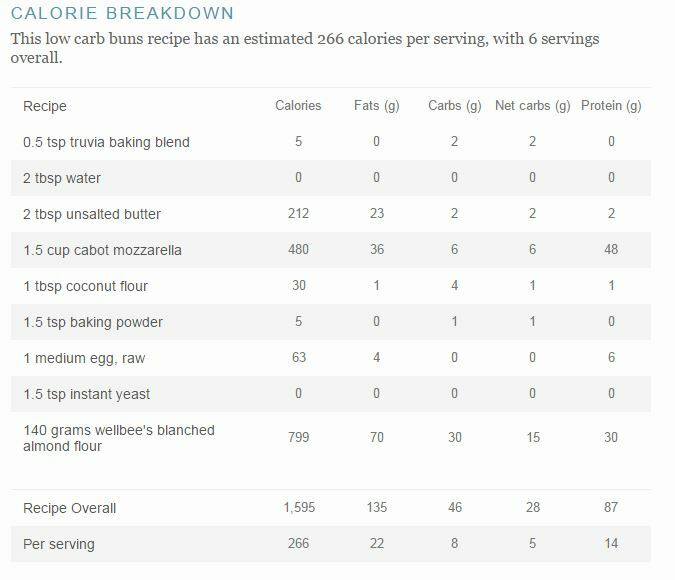 Many of my recipes are low-carb, although all of my dessert eaters know that many of my recipes are not – anyway, I’ve been tweaking the low-carb recipes to make them more keto appropriate. 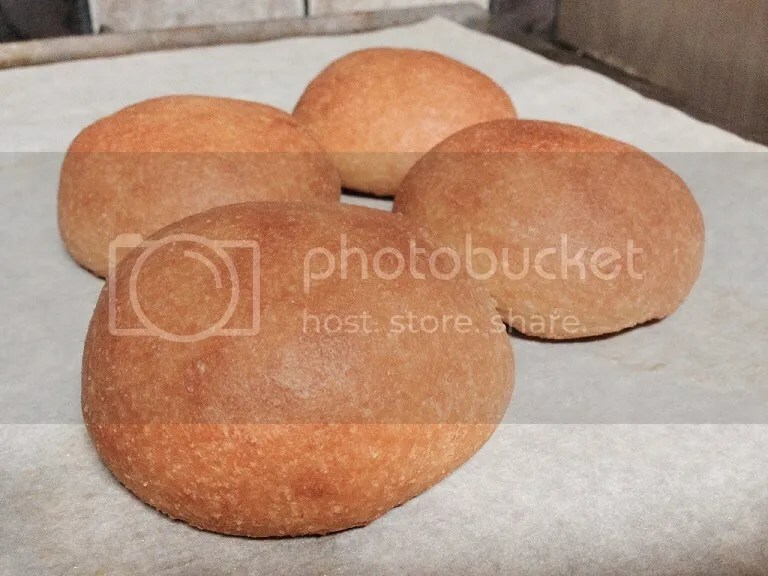 So, these rolls are nothing short of miraculous, as the base is mozzarella cheese. Yep, cheese. Who knew? Anyway, I can’t take credit for the creation, as I found the recipe on Splendid Low-carbing. I went in a slightly different direction, adding proofed yeast for aroma, baking powder to get more lift for the buns, and 1 medium egg. I tried just adding the yeast to the dry ingredients, but without proofing it, you get no yeasty aroma. Since I had to proof the yeast, I needed to decrease the liquid in the original recipe, which is why I used a medium egg – choose the smallest in your carton. The great thing about this dough is its versatility. 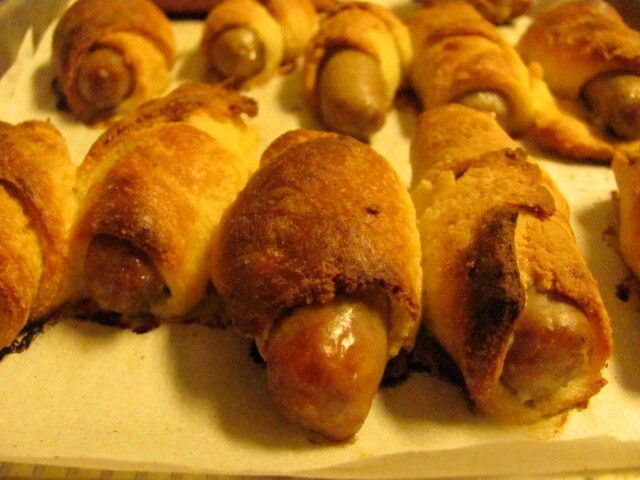 I’ve made pizza, breadsticks, hot-pockets, and pigs in a blanket. So, what’s the texture, you ask? 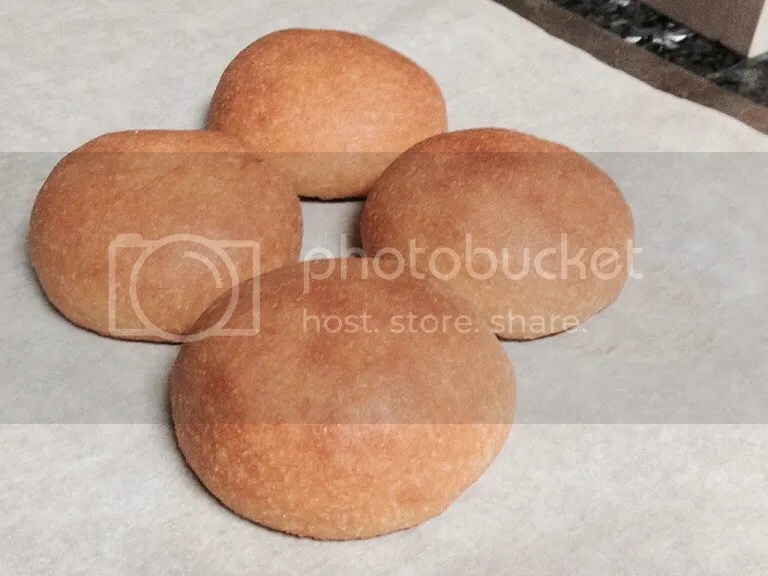 Very breadlike, more than any other recipe I’ve tried. Taste? Mild – no egginess, yeasty aroma – they are very rich. 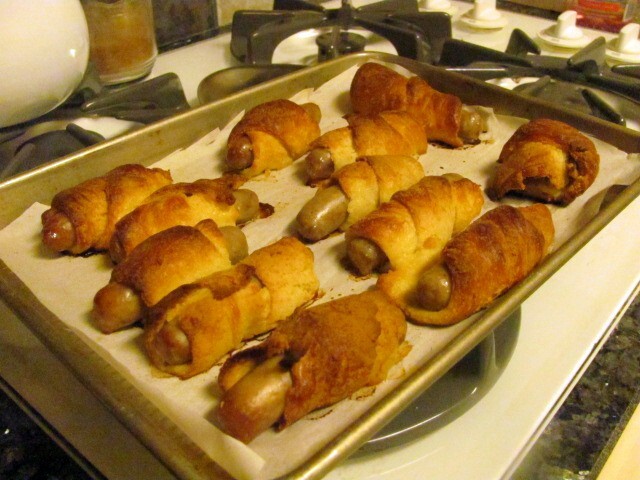 I tried freezing the leftovers, and they were ok, not horrible, but not as good as they were fresh from the oven. If you make them, plan to share or eat them within 24 hours. As written, each bun has 5 net carbs. Enjoy! Combine yeast with Truvia baking blend in a cup, then add the 3 tablespoons very warm water, stir, and set aside for yeast to proof. Place mozzarella cheese into a microwave-safe bowl, and melt in microwave (this took 90 seconds). Remove melted cheese from microwave and immediately pour in melted butter. Add flour mixture, then pour in proofed yeast and beaten egg. Mix together quickly; I find a fork is best. Let dough rest about 30-60 seconds, then remove dough from bowl, place onto parchment paper, and knead until smooth, maybe 15-30 seconds. 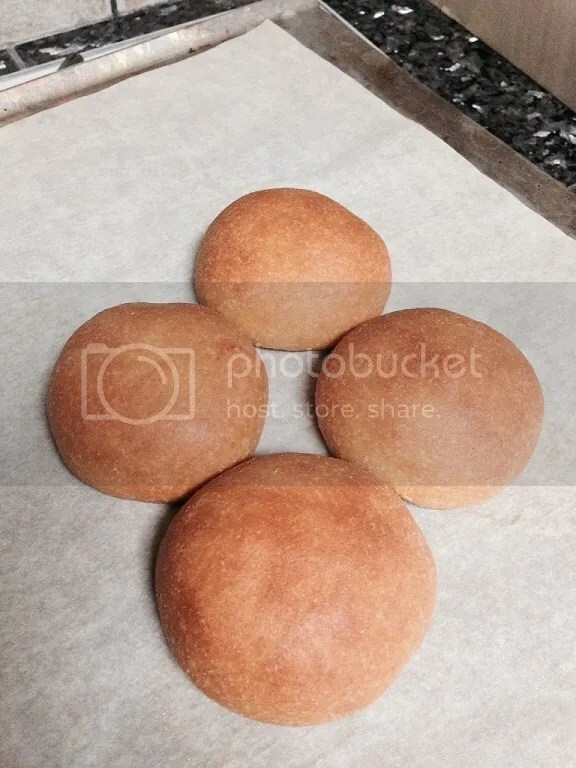 Divide into six pieces and shape into buns. Bake at 350 degrees for 25-30 minutes, loosely covering with a piece of foil to prevent over-browning. 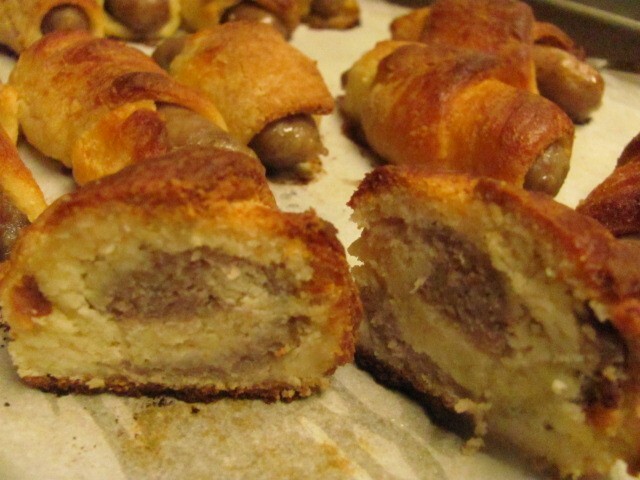 So this morning, I used the above recipe, rolled it very thin and made sausage rolls – so good! For 9 of them, I just used the link in the casing. As a test, I squeezed the filling and pressed into the dough and then rolled it up. No difference, really, totally up to you. I used Jimmy Dean Original Sausage Links. They did brown more than I would have liked, as I neglected my own advice and didn’t cover with foil. I don’t think I ate broccoli cheese soup until I was in college. Tasting it for the first time, it reminded me of broccoli and cheese casserole, as the broccoli soup I knew barely resembled the cloying orange-hued concoction. 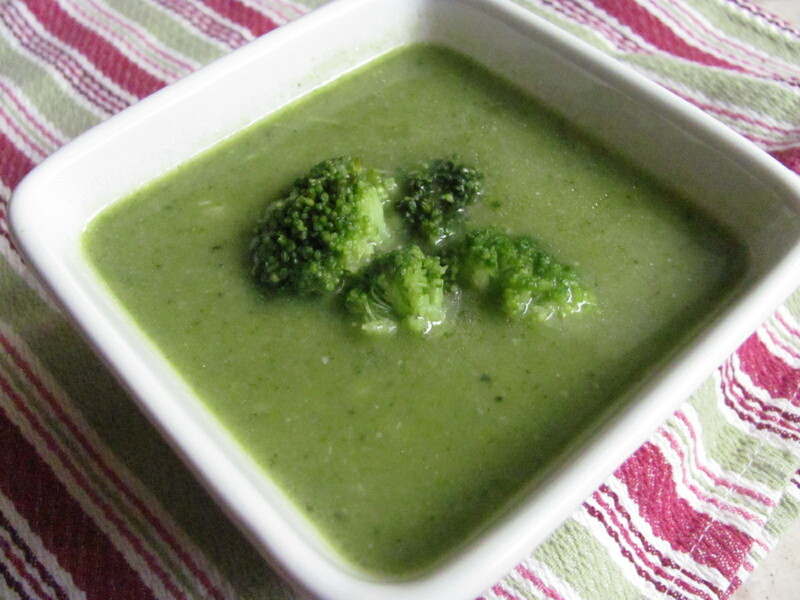 Growing up, we ate a very simple, although very delicious and healthy broccoli soup which consisted of broccoli, water, and a splash of extra virgin olive oil. This was served with pasta that was cooked in the soup right before serving. We ate it with a sprinkle of cheese, Parmesan or Romano, whichever we had available. While I loved this soup, I’ve tweaked it, fancy that, and I think it’s even better. I apologize for the short post, but I made this today because I’m home with a cold and feeling a bit less than perky. Don’t wait until you’re not feeling well to make this, as it’s perfect anytime. In a stockpot, combine the broccoli cuts, 1 clove garlic, and 4 cups of water. Bring to a boil and let simmer until tender. When tender, remove from heat, add extra virgin olive oil, and puree with an immersion blender. Add steamed broccoli, return to a boil to heat through. Serve with grated Parmesan or Romano cheese, if desired. **While broccoli cuts are simmering, steam broccoli florets and set aside. Tiny things make me smile. Kittens. Puppies. Baby bats. 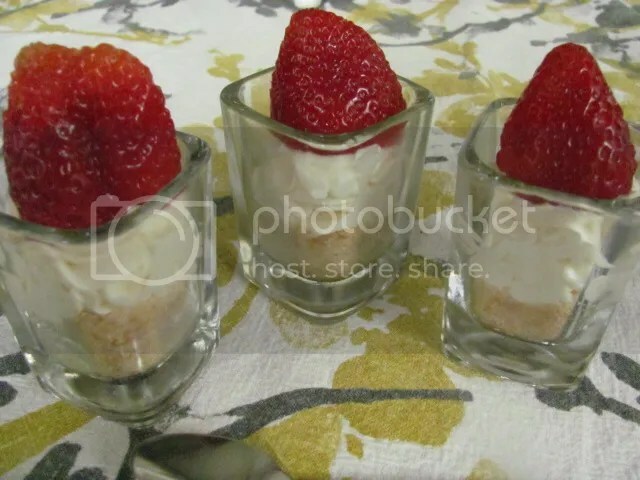 And, of course, tiny desserts. So cute, so delicious, and just the perfect amount of indulgence. A sweet treat sans guilt. My dessert bowls are from Libbey, and along with the 12 bowls are 12 tiny spoons ☺ The strawberries were a tad too large, but you get the gist. A raspberry would have been better, but Louisiana strawberries are in season, so that’s what I used. My version is low-carb, but you can easily switch out the sweetener for sugar. 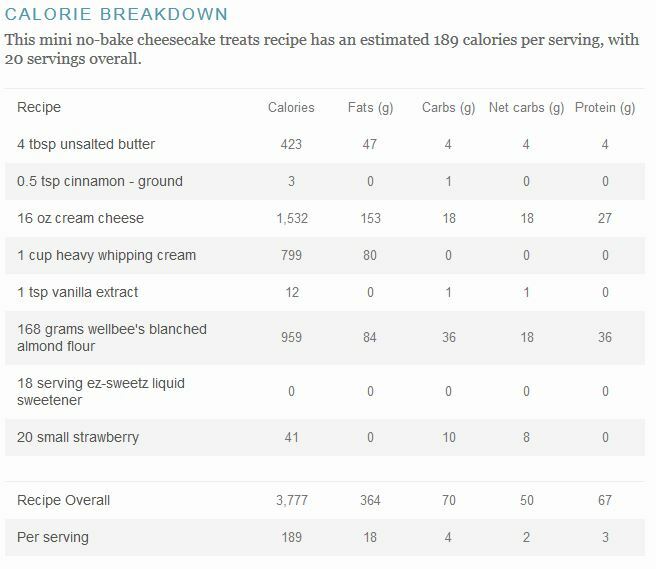 The recipe makes enough for 12 mini cheesecakes and one cheesecake pie (8 servings). Line a small baking pan with parchment and set aside. Mix almond flour, cinnamon and salt together; set aside. Melt butter and stir in EZ-Sweetz. Add to almond flour mixture; place on prepared pan and pat into 1/4″ thickness. Once cooled, crumble and set aside. Beat cream cheese, sweetener and vanilla together until fluffy. Whip heavy whipping cream until firm peaks form; fold into cream cheese mixture. 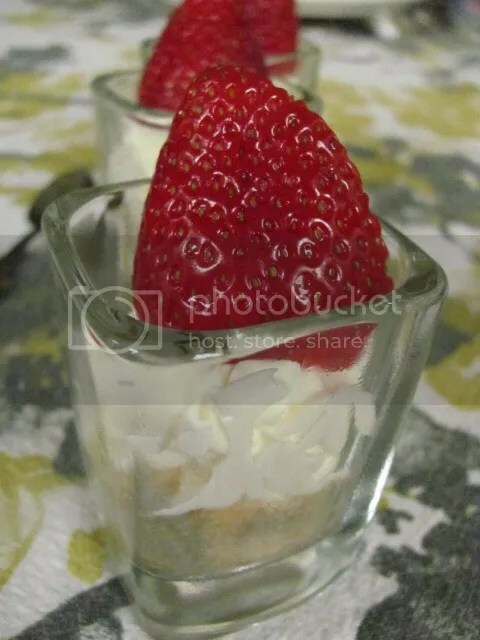 For mini cheesecakes, measure 1 tablespoon crumbled crust per bowl, pressing with a tart tamper or back of measuring spoon. 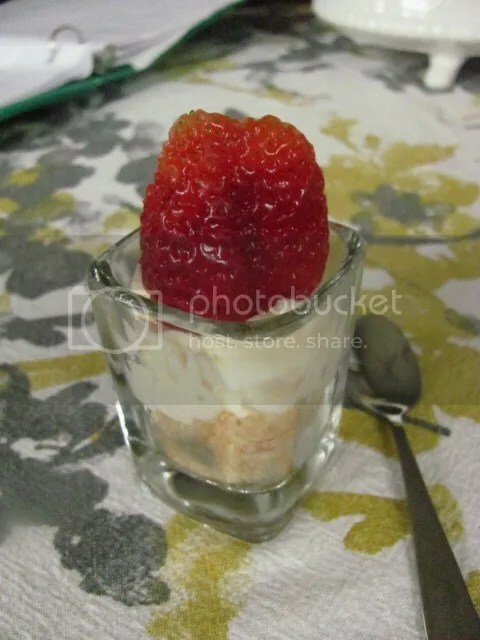 Pipe in filling and garnish with one berry, if desired. ***For cheesecake pie, melt an additional 2 tablespoons of butter and mix with crumbled crust. Press into pie pan and bake for 12 minutes at 350 degrees. Allow crust to cool, then spread in remaining filling. Chill for at least an hour to ensure a clean slice. Garnish with additional whipped cream, if desired.